What is it and Why is AppSec So Important For Today’s Builders? Application security (AppSec) is the term used for all the measures taken to improve security within an application. In order to improve appsec, one must find and fix any security vulnerabilities: web application security vulnerabilities and more. In time, using app sec will also prevent weaknesses in security. Application security best practices are used in different parts of the app lifecycle – each stage will have a different application security policy and application security checklist, whether you are in the design stage, development stage, deployment stage, upgrade stage, or just during regular maintenance. Appsec isn’t a static system for security, instead it is always evolving with the different security flaws that pop up. Application security companies approach appsec in different ways, using different techniques to find the security vulnerabilities that can be found in an application. Some appsec companies focus on one part of the software lifecycle while others are all-encompassing. Appsec methodology includes Whitebox Security Reviews, Blackbox Security Audits, and Design Reviews. 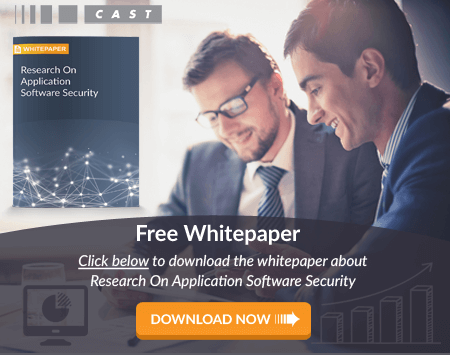 Whitebox security is a more in-depth look, with a security engineer manually reviewing the code for any problems that are there or could be there through revision. Blackbox security audits use application for security testing and doesn’t use the source code. Design review is secapp testing before the code is written. Appsec tools are numerous, helping you to automate your application security when testing for flaws. They are able to find some of the security problems that people aren’t able to find. They are utilized throughout the software development cycle, maximizing the security. Application security tools are easy to install, easy to use, and can be refreshed multiple times throughout the development process. There are two types of AppSec tools: Penetration Testing Tools and Static Code Analysis Tools. The former is used with Black Box testing, the latter with White Box Testing. Why is AppSec So Important? As we go into the future, the pressure is on to create secure applications at great speed. As we speed up, there is more of a chance for danger and mistakes. Appsec helps to expedite the process and minimize the risk. Testing will scour your applications for problems that can arise. These vulnerabilities are critical to the development of your applications because they can leave you open to exploitation. SecApp testing is implemented throughout the entire process of software development, from the initial stage to deployment. It allows a team to catch problems and work through them. Essentially, using tools like SecApp and web application security checklists can help your team to be aware of problems and actively work to eliminate them. At times, using secapp can fix the problem as well. Penetration testing tools, vulnerability scanners, and web app scanners are options for many, but they do not review the actual code. Instead, Appsec looks at the source code quickly, much faster than a human could, and finds any problems. Moving into the future, web application security best practices will be necessary to keep consumers safe. Malware and other attacks will target many, many people. In order to keep the public safe, application security will give them peace of mind to use your systems and applications. Ready for more information? Give us a call today and we can tell you how security application can help your software development.